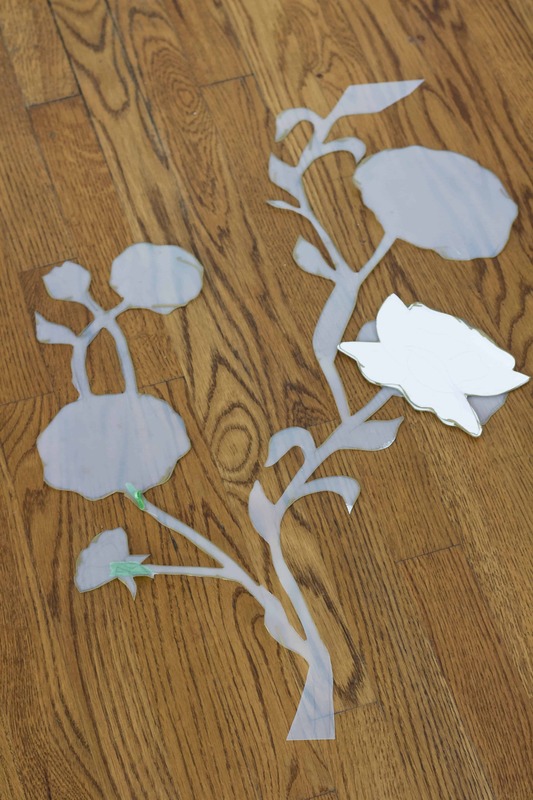 I created DIY faux floral wallpaper with a Sharpie pen and this is how to make a stencil to trace on a wall. 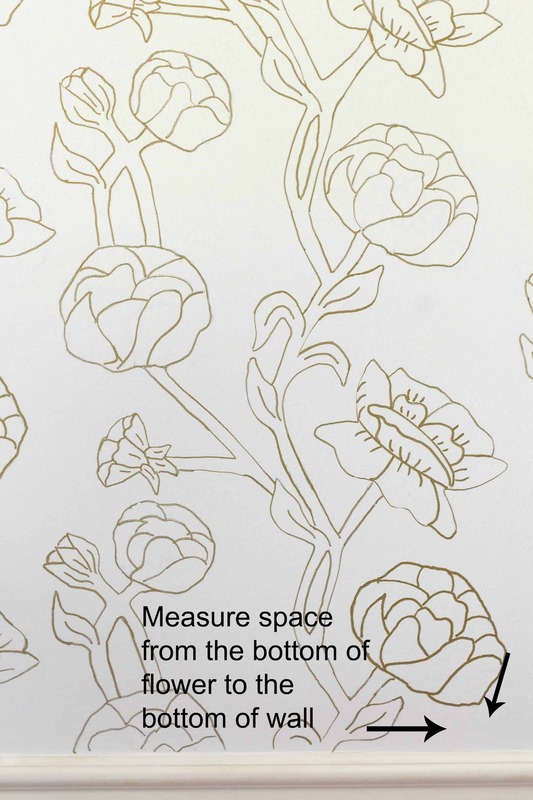 I wanted the look of floral wallpaper in my foyer so I created a stencil and hand-drew the design on the wall with a Sharpie Paint Pen. 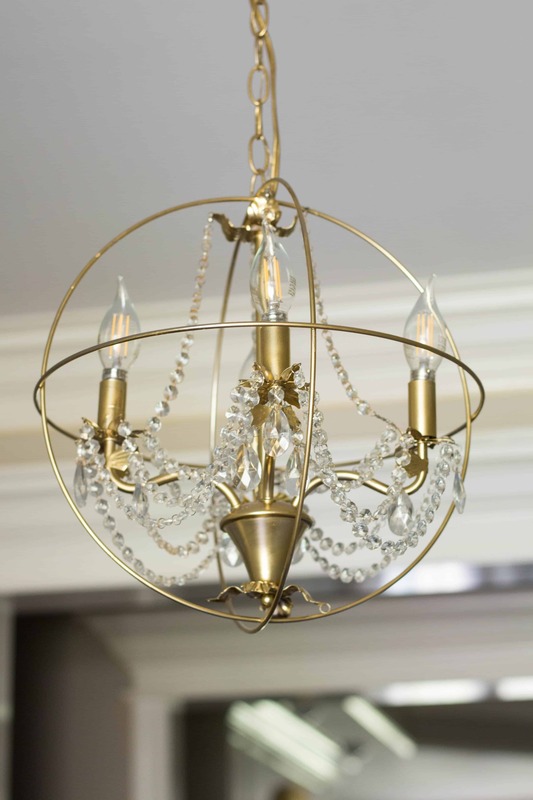 I am making over my foyer and I wanted to add color and interest to the room so I starting looking at wallpaper online. 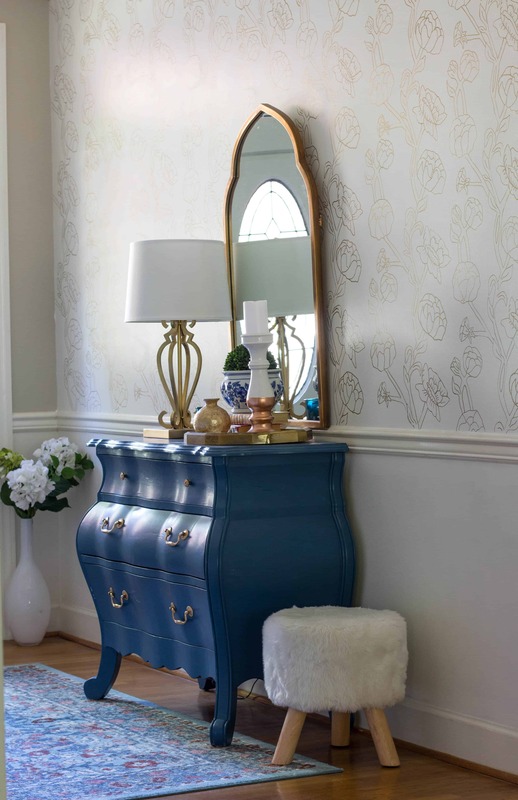 I am drawn to the bold wallpapers that look hand-drawn and since I love to doodle and draw, I thought that it would be fun to try to duplicate the look of wallpaper with a Sharpie paint pen. I am wanting wallpaper for the wall so if it looks horrible, I can paint over it or wallpaper over it. Also, if you have the paint that is on the walls, you can paint over the area of your mistake and draw it again. I know that because I did that several times and it was an easy fix. This is the tutorial for the stencil. 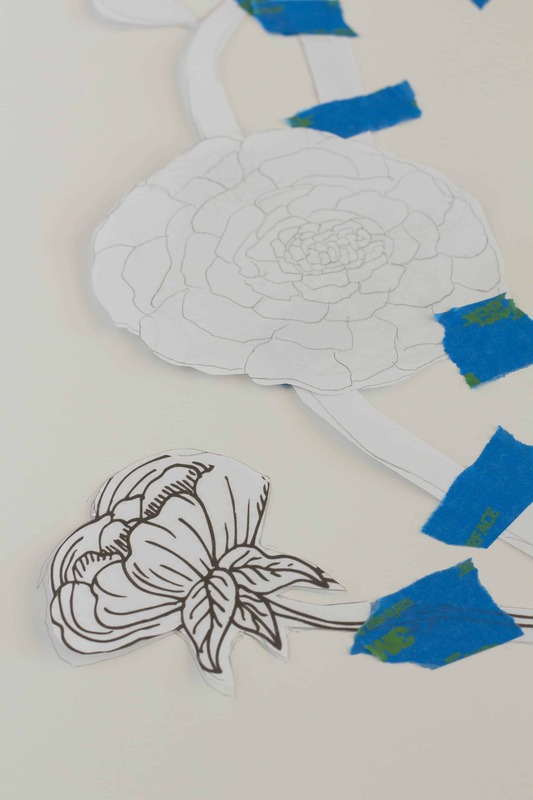 You can view the DIY Faux Floral Wallpaper with a Sharpie Paint Pen tutorial. Clear Plastic Poster Board-I found mine for $2 at Michaels Craft Store on the aisle with Children’s poster boards. You will need to use Sharpie Paint Pens not Sharpie Permanent Markers to draw the design on the wall. 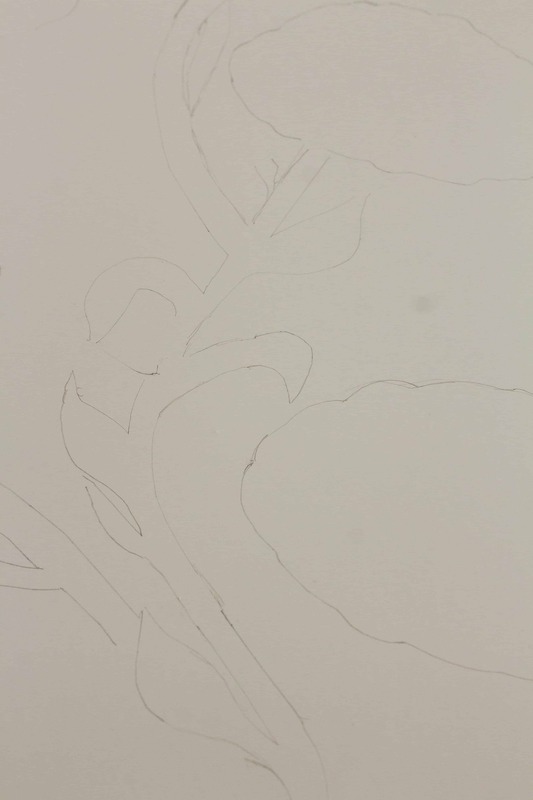 I first drew a vine and leaves on a piece of paper. After cutting it out, I laid it on a piece of poster board. 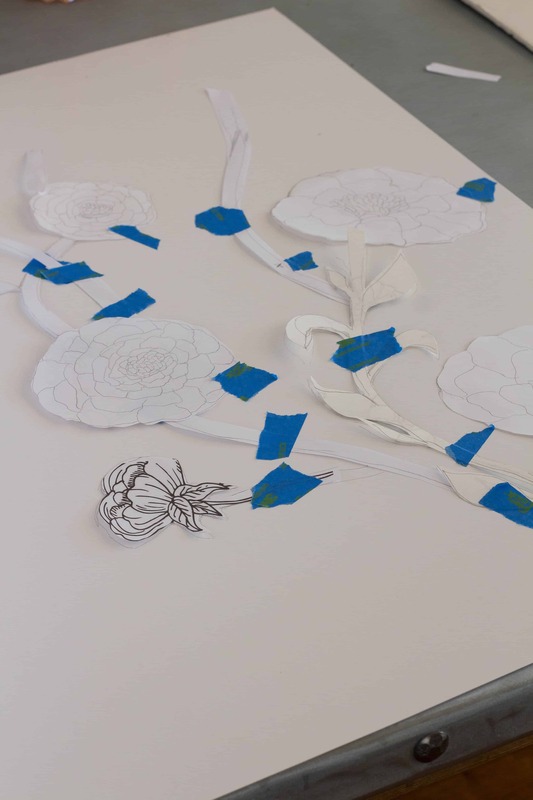 I googled pictures of hand-drawn peonies and drew the peonies onto a piece of paper. 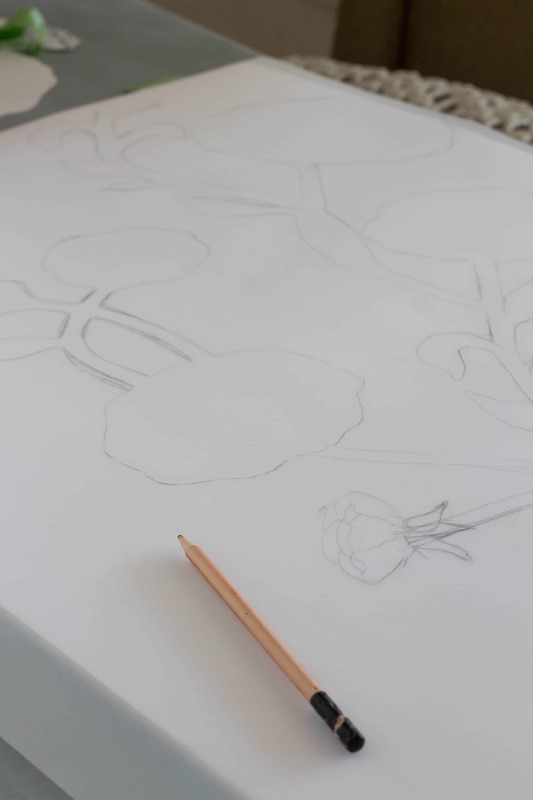 I knew that the peonies had to be simple enough for me to draw. I cut the peonies out and laid them on the poster board. 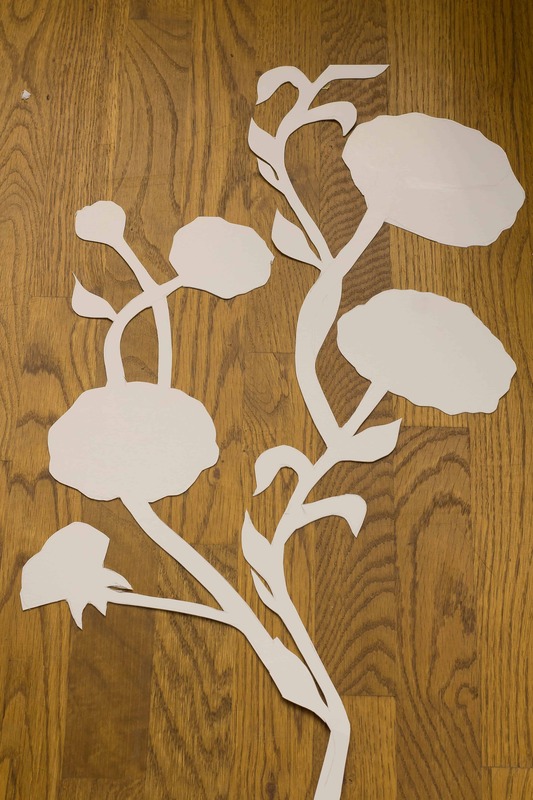 *** I ended up changing the way I drew these peonies but I kept the shape the same so that I could use the template that I had cut out. 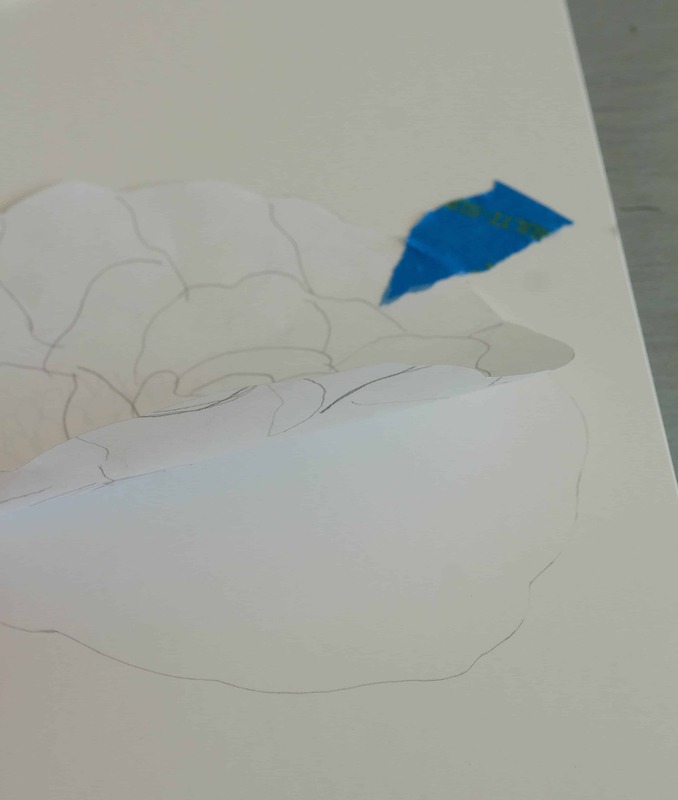 I traced the peony from the paper on the poster board. I kept adding different flowers until I achieved the look that I wanted. 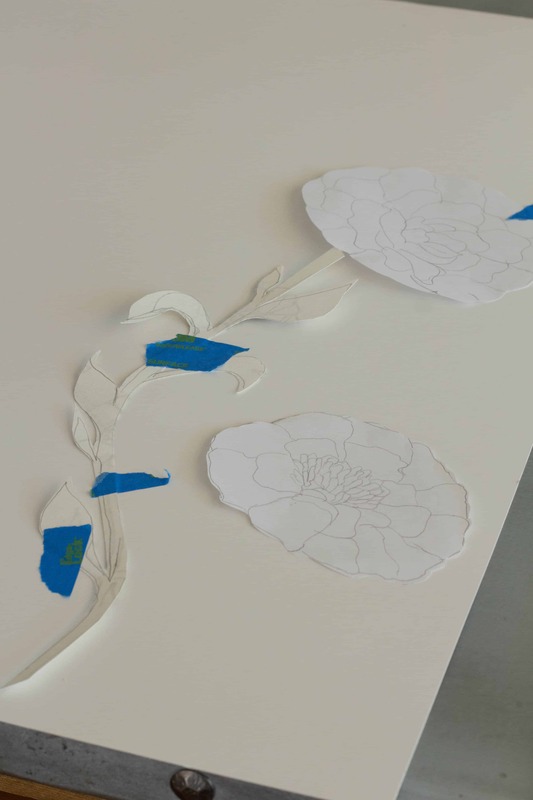 I drew some of the peonies and I printed off a couple of the peonies. By creating the template this way, you can change it up easily. Trace the pattern onto the poster board. 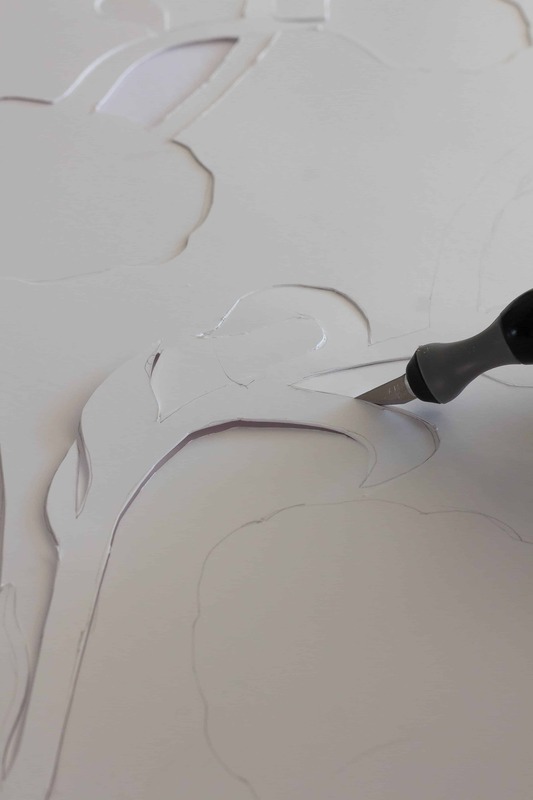 The best way to cut the pattern out of the poster board is with an X-acto knife. I tried to use scissors first and it bent the template but it was very easy to cut with the X-acto knife. *Make sure you have a thick piece of cardboard under the poster board so that you do not cut or scratch the table or surface where you are working. 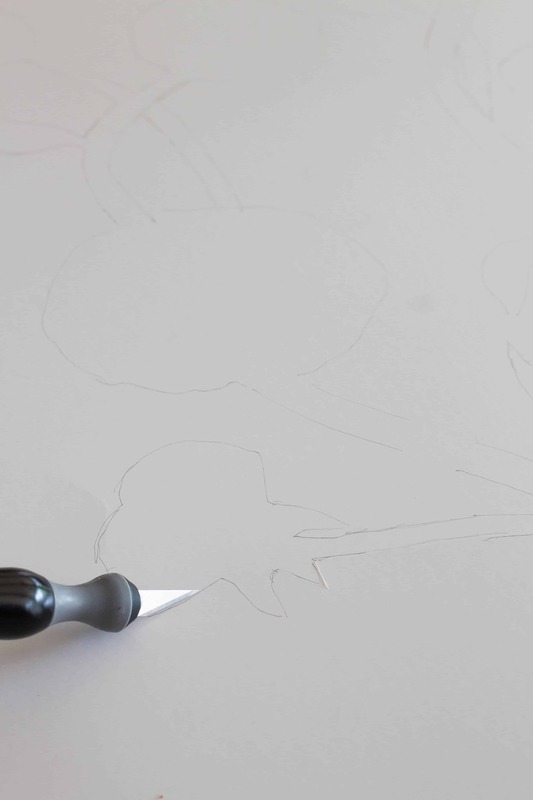 After I cut out the pattern from the poster board, I was ready to transfer the template to stencil paper. Trace the pattern on to the stencil paper. 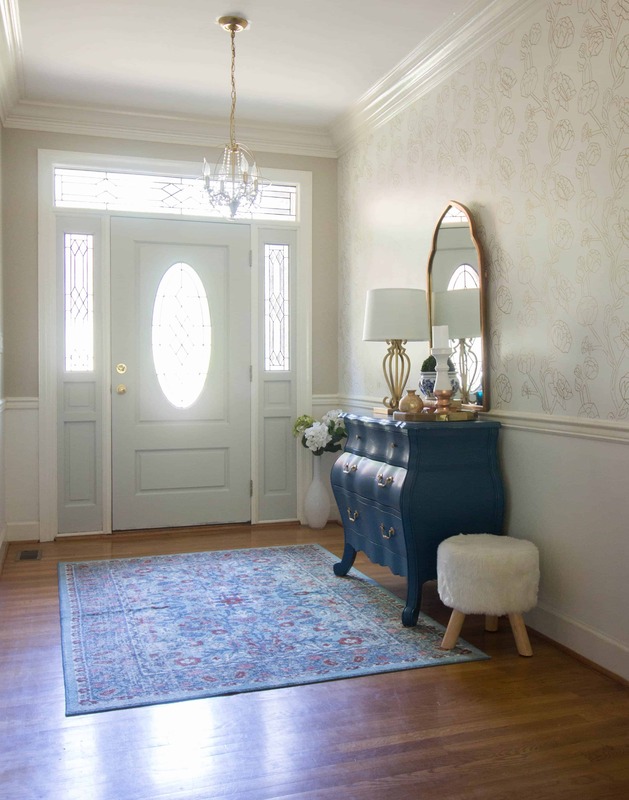 The final DIY Faux Floral Wallpaper looks stunning in my foyer. 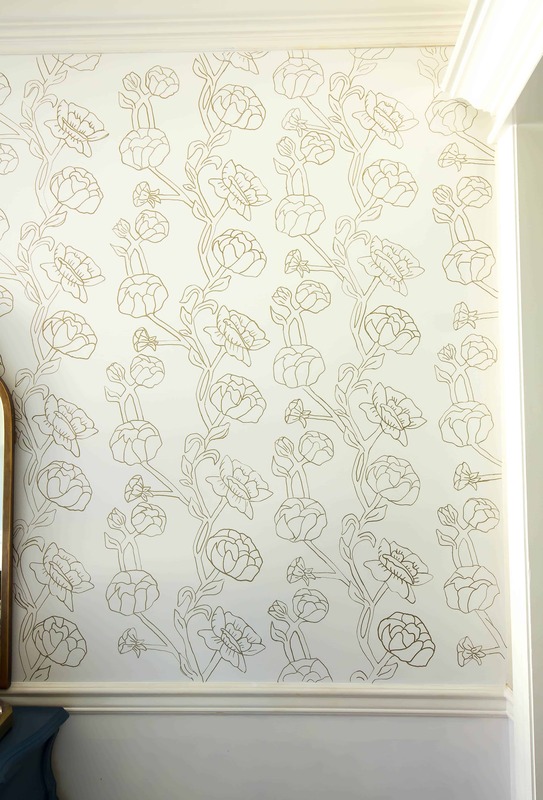 You can view the DIY Faux Floral Wallpaper tutorial.